Formalized knowledge engineering activities including semantic annotation and linked data management tasks in specialized domains suffer from considerable knowledge acquisition bottleneck - owing to the lack of availability of experts and in-efficacy of computational approaches. Human Computation & Crowdsourcing (HC&C) methods successfully advocate leveraging the human processing power to solve problems that are still difficult to be solved computationally. 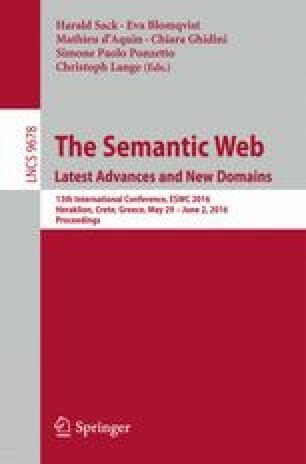 Contextualized to the domain of Islamic Knowledge, my research investigates the synergistic interplay of these HC&C methods and the semantic web and will seek to devise a semantics driven human-machine computation framework for knowledge engineering in specialized and knowledge intensive domains. The overall objective is to augment the process of automated knowledge extraction and text mining methods using a hybrid approach for combining collective intelligence of the crowds with that of experts to facilitate activities in formalized knowledge engineering - thus overcoming the so-called knowledge acquisition bottleneck. I would like to acknowledge the contributions from my supervisors Dr. Khaled Rasheed and Dr. I. Budak Arpinar for their support and advice.